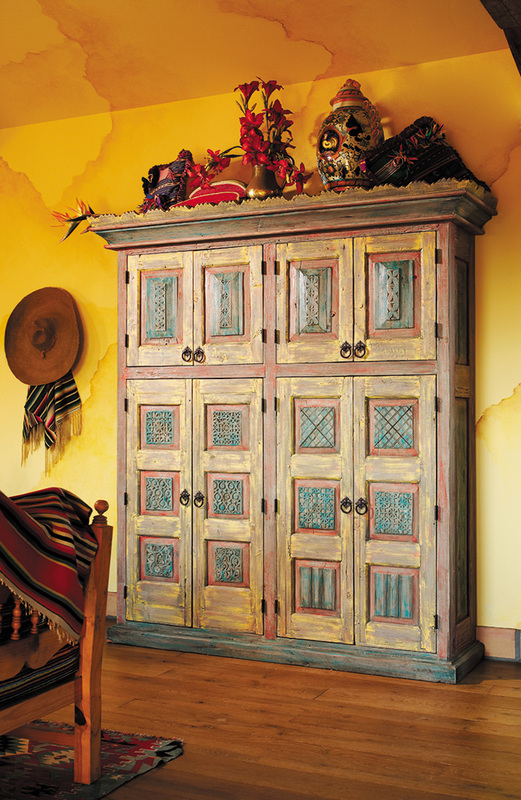 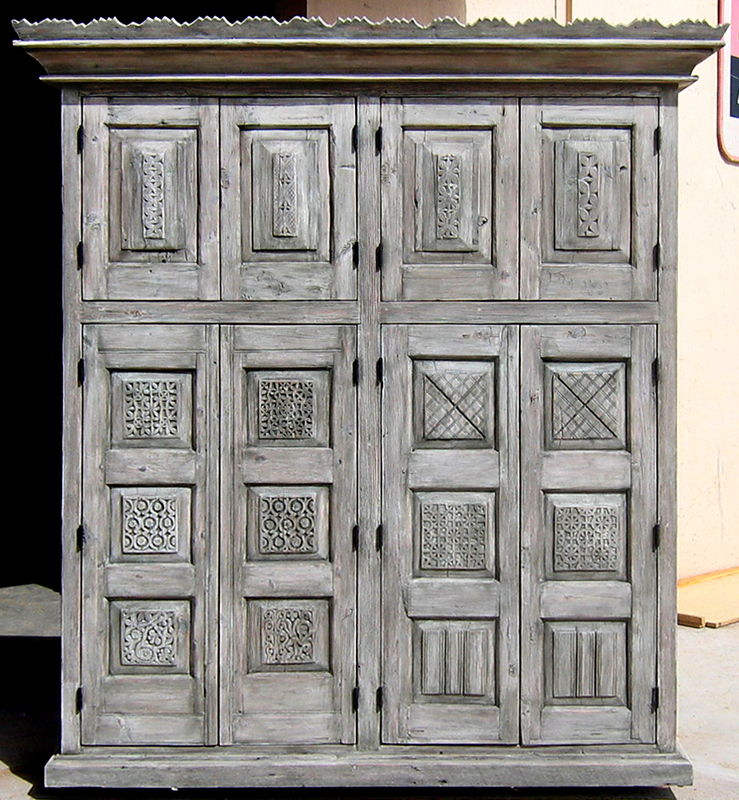 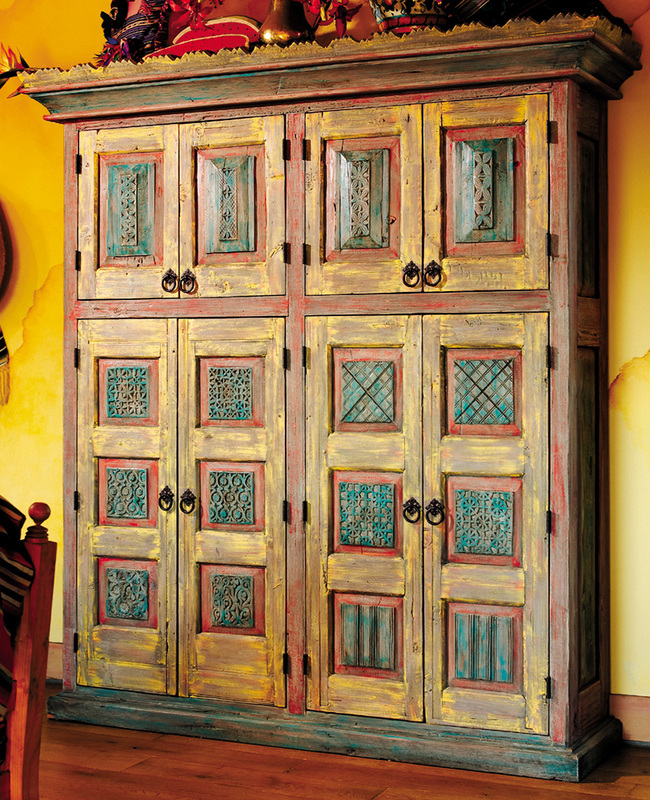 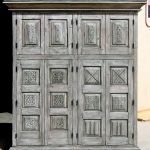 This bar area cabinet was made using antique carved panels and salvaged lumber. 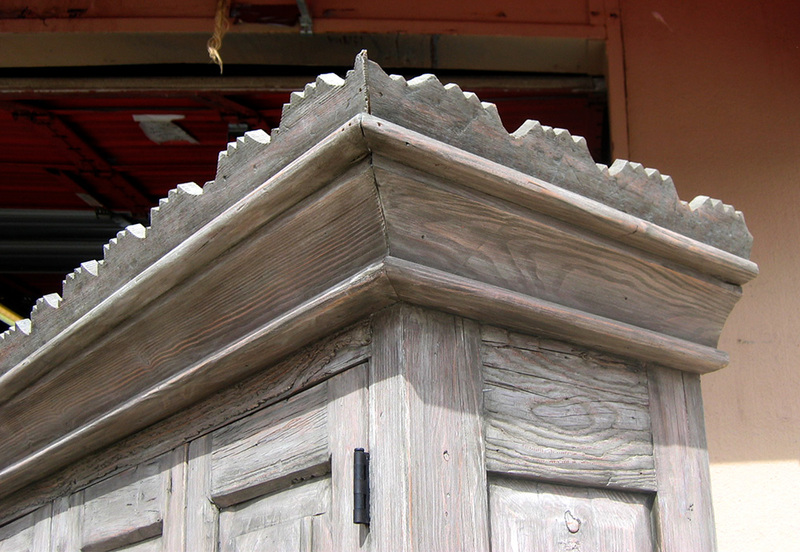 It is topped with elaborate crown moulding. 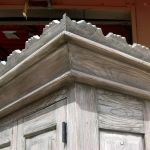 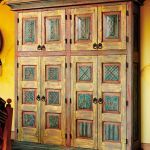 In the detail photos one can see the original weathered mesquite patina and compare to the ultimate multi-colored finish.